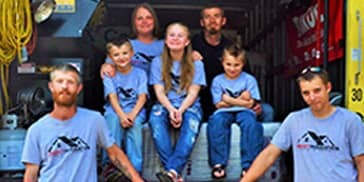 Addict Insulation is a family-owned business with 15 years of insulation experience in the St. Louis and St. Charles counties. Locally owned, we are dedicated to our community and the people who live in it, and intent on saving you money by saving on energy cost. Addict Insulation, LLC located in St. Charles and St. Louis, MO. Full service residential and commercial insulation company, we offer 100% free on-site estimates. We are based on the belief that our customers' needs are of the utmost importance. We are committed to meeting those needs. As a result a high percentage of our customers come by referral. Whether it's getting your home insulated or removing damaged insulation from your home, we're here to help you every step of the way. We want you to be more comfortable in your home or business by making it environmentally friendly and energy efficient. 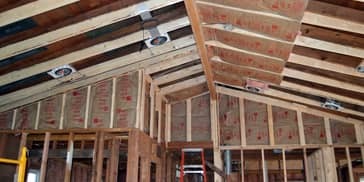 Our insulation installers are all professionals, highly trained and well versed in the knowledge of insulation products and techniques. Addict Insulations team of experienced and diversified technicians enables us to cover just about everything in the insulation industry. We certainly hope you call us and join the long list of satisfied customers. To find out more about our insulation services contact us today by calling 636-233-7314 or by using the contact form. We also provide an on-site home energy assessment. Ed Clement - Did a great job throughout: helping finish a tricky situation on a commercial steel building. Most important he communicated effectively throughout the process, showed up on time, and always stayed a head. Fairly priced and up to date on technology. Good Sub-Contractors are hard to find, so when you find I always do my best to help them promote their business. Addict Insulation did a great job. We finished the lower 2500 sq feet of our home in O'Fallon. Ed did a great job on the insulation and saved me a bunch of money. I would definitely use him again. He went above and beyond and even helped me load bags of drywall into my truck.